Aerial images of marsh plant communities reveal information that is not possible to obtain from ground level. High resolution aerial photographs display fine details of vegetation composition and distribution. 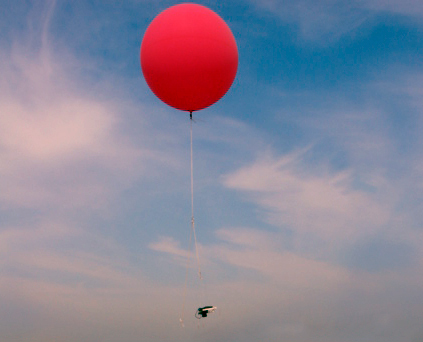 Since 2006, The Meadowlands Environmental Research Institute has employed balloon photography to capture images of marsh and landfill surfaces. These images are a key resource for MERI scientists working to improve the Hackensack River marshland ecosystem. High resolution images are captured using consumer grade cameras at altitudes between 150 to 300 feet. The current camera being flown is a 14.3 megapixel Canon G1X. The state of the art camera rig attaches the camera to an inflated 3 meter balloon. The balloon is tethered to a reel operated from the ground. This setup is cost efficient, easily deployable, and is highly mobile.